Plan the ultimate getaway to Europe with itineraries inspired by an arts and culture themed journey aboard the Four Seasons Jet. During a 16-day Backstage With the Arts journey on the Four Seasons Jet, guests experienced the art, music, culture and history of Europe, complete with backstage access, special performances and private entries. Whether you have one day or 20 for a European holiday, let their adventures in Paris, Lisbon, Milan, Istanbul, St Petersburg and Prague inspire your own itinerary. 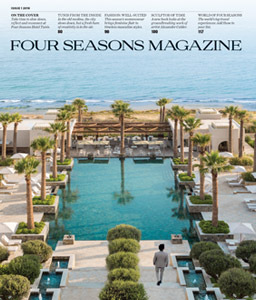 Read on to discover the cultural highlights of each destination and flip through photos from the Four Seasons Jet trip to see the landmarks, museums, theatres and local experiences you shouldn’t miss on your own journey. 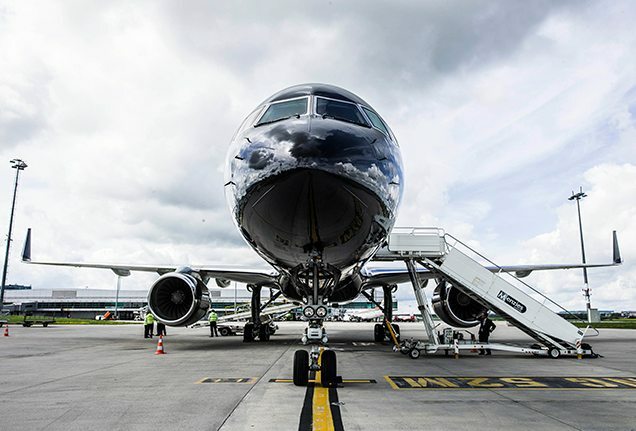 The newly redesigned Four Seasons Jet flew travellers on the Backstage With the Arts journey between Paris, Lisbon, Milan, Istanbul, St Petersburg and Prague. 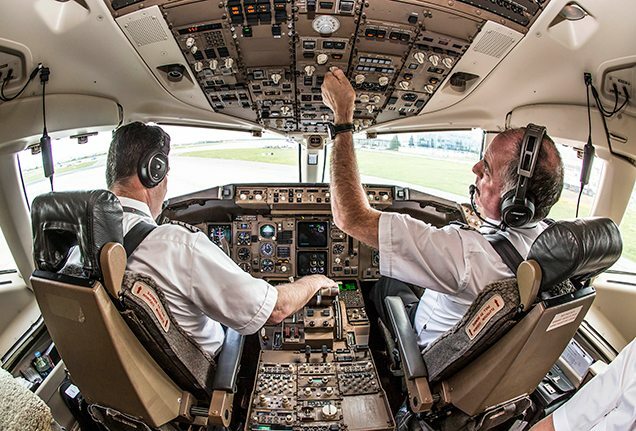 The Four Seasons Jet sets a new standard for excellent service in the skies. 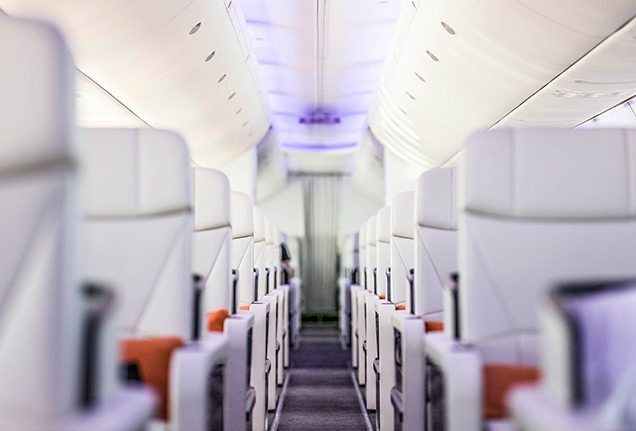 On the Jet, guests relaxed in individually handcrafted leather flatbed seats and dined on innovative cuisine—served on bone china. Paris has long been the homeland of the artist. It is a city to which creative spirits make pilgrimage, while appreciative spirits love to bask in the atmosphere. There’s no better way to kick off your stay than by enjoying the Michelin-starred cuisine of Le Cinq, renowned restaurant at Four Seasons Hotel George V, Paris. From there, tour the newly opened Louis Vuitton Foundation, a striking building designed by Frank Gehry, which has as its mission the fostering and promotion of artistic creation on national and international levels. It also has a magnificent collection of fine art that must not be missed. Survey more of Paris on a private cruise along the Seine, and bid the city farewell over dinner in the Eiffel Tower. 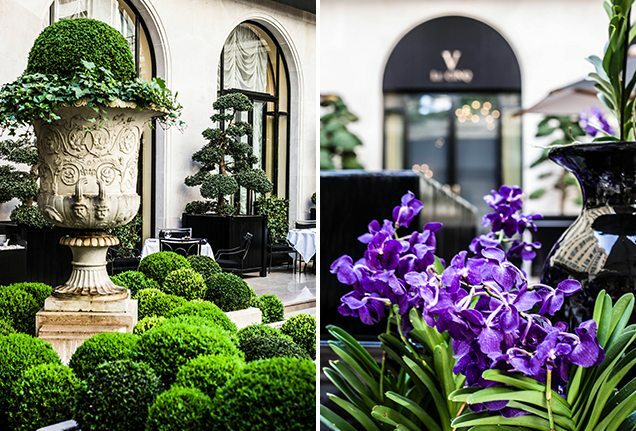 The delightfully chic Four Seasons Hotel George V, Paris was the first stop for travellers on the Backstage With the Arts tour and served as an ideal home base for the adventures ahead. 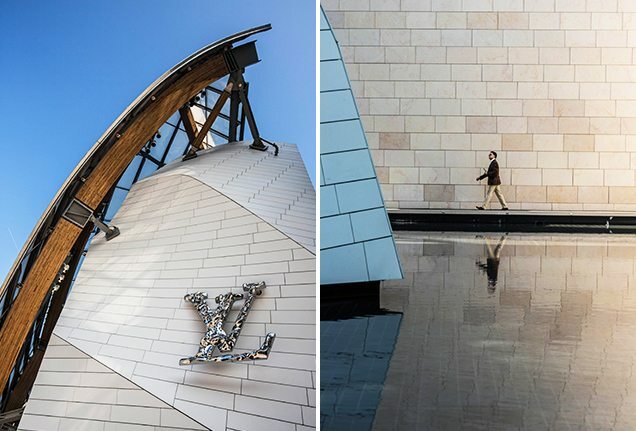 Guests visited the newly opened Louis Vuitton Foundation, a masterpiece of modern architecture that juts into the Paris skyline like a yacht on a grand voyage. 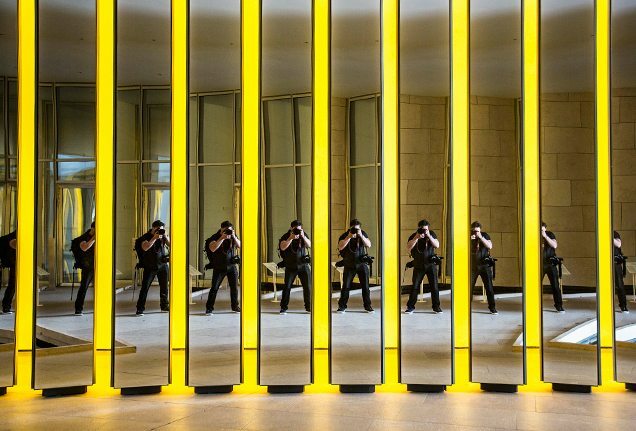 Home to modern artistic marvels as well as traditional favourites, the Louis Vuitton Foundation draws an eclectic crowd of art enthusiasts, fashionistas and intellectuals. 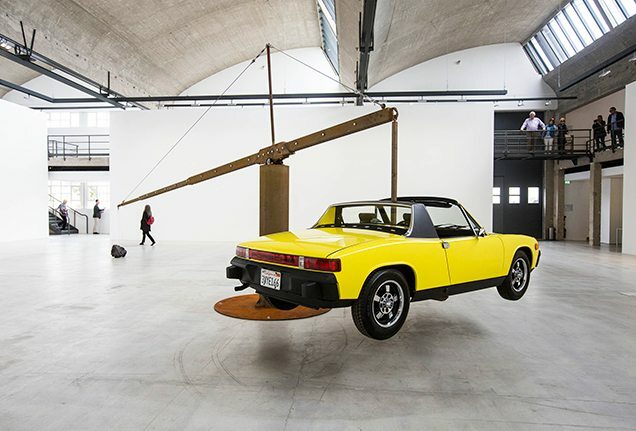 Also spotted in Paris, a precarious work of art by Chris Burden balances at the Gagosian Gallery. 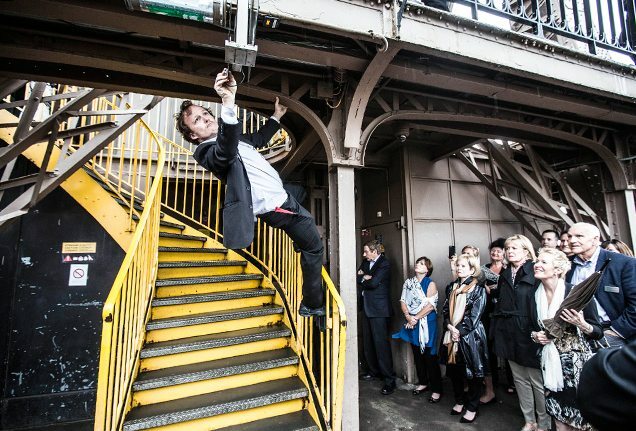 At the Eiffel Tower, local performers dangle from the decorative arches making music and luring in passers-by. 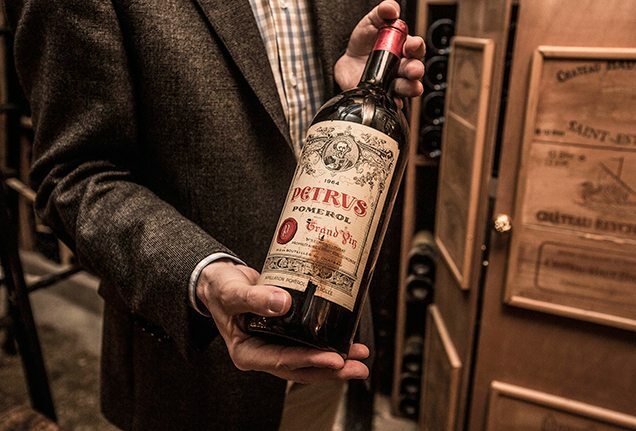 Back at the Hotel, guests ventured into the restaurant Le Cinq wine cellar to sample bottles from celebrated wine regions around the globe. Lisbon, home to a spectrum of architecture from classical to Manueline to Gothic, offers the opportunity to explore art and architecture to your heart’s content. Start with a guided tour of the Berardo Collection Museum and then tour the ornate, Manueline-style Jeronimos Monastery. 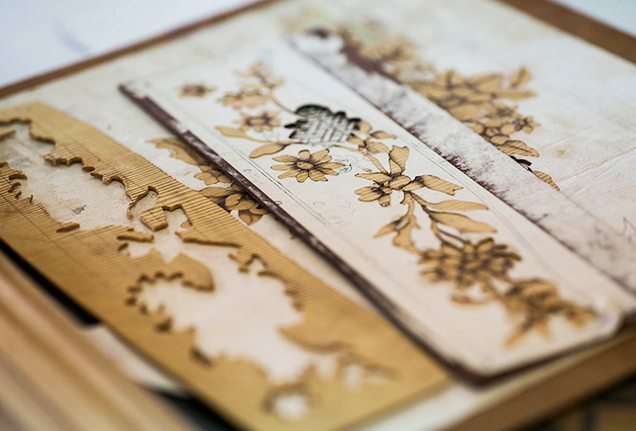 An excellent hub for travellers, Four Seasons Hotel Ritz Lisbon offers its own take on artistic décor. 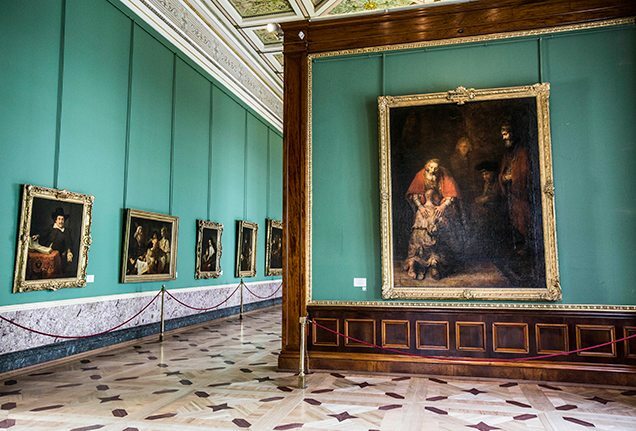 Allow at least three days to absorb the best of Lisbon: Be sure to visit the Museu Nacional do Azulejo, the Palais de Santos, and take a guided walk through Chiado Square and the surrounding area. 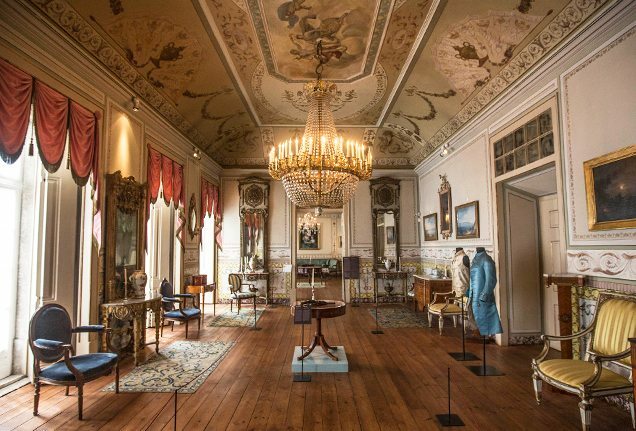 In Lisbon, the Museum of Decorative Arts offered guests the opportunity to examine intricate artefacts and artistic creations treasured by the aristocracy of the 18th and 19th centuries. 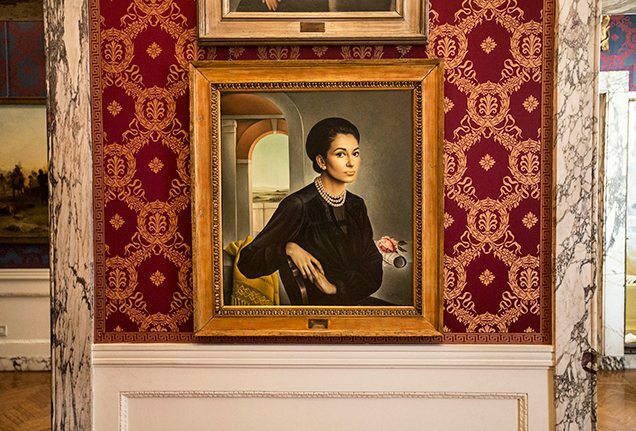 The Museum of Decorative Arts also houses collections of furniture, textiles and paintings that reflect Portugal’s artistic heritage. 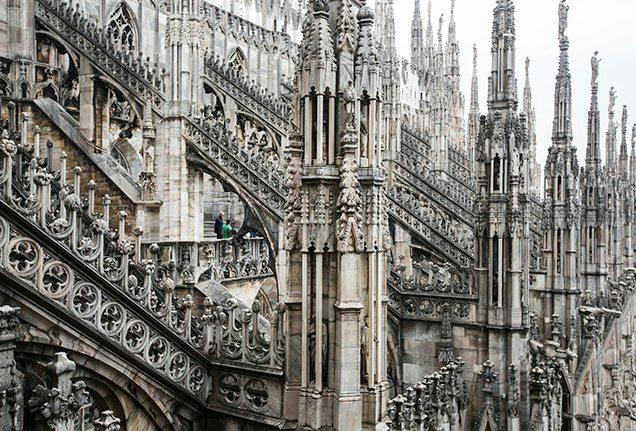 Milan is renowned for fashion, but the city is also a focal point of ancient architecture and art. From a home base at Four Seasons Hotel Milano, take in all the city has to offer with visits to Tod’s Boutique, the Duomo di Milano, the Leonardo Museum and the Ambrosiana Library, or experience the best of the city’s art and architecture on a Milanese design tour. Take a cue from guests of the Four Seasons Private Jet Experience, who enjoyed backstage access to the Teatro alla Scala, Milan’s famed opera house, and book a show through the Concierge. The next stop for guests on the Backstage With the Arts journey was Milan, which balances a reverence for culture and history with a desire to be at the forefront of fashion. 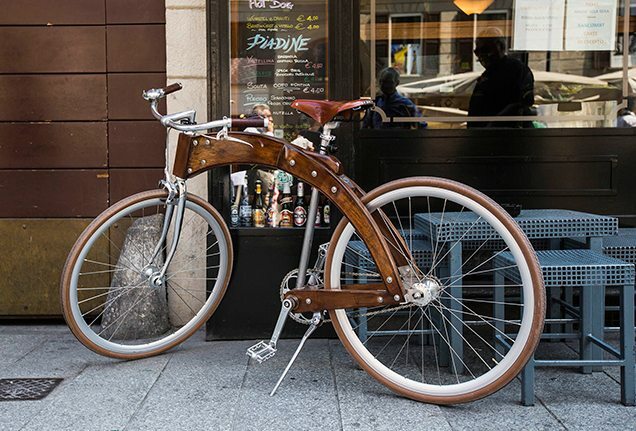 A retro bicycle outside a café in the city highlights this dichotomy. The museum at Milan’s famed Teatro Alla Scala offers a look at the theatre’s rich history through artefacts, instruments, and portraits of its composers, patrons and prima donnas. While in Milan guests also visited the intricate and awe-inspiring Duomo. One of the largest churches in the world, construction of this landmark spanned nearly 500 years. Situated between Asia and Europe, Istanbul is a city whose artistic and cultural influences draw from empires on both sides of the Bosphorus. Lodge at the beautifully decorated Four Seasons Hotel Istanbul at Sultanahmet, which is perfectly situated near Istanbul’s top sites. For an inspired experience, book a private tour of the Hagia Sophia to get a close look at the building’s gold-domed ceilings and intricate reliefs, then visit the Basilica Cistern. Tours of the Blue Mosque, Grand Bazaar and Topkapi Palace are also on the must-do list for Istanbul. 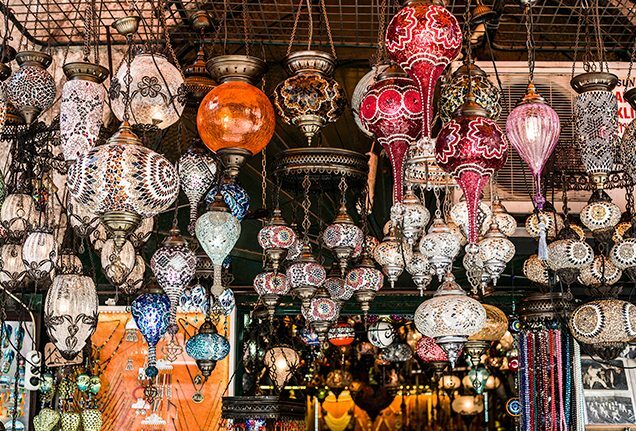 Finally, bring home your own works of art after a shopping sojourn at the Grand Bazaar, with choices from handwoven carpets to fantastic lanterns. 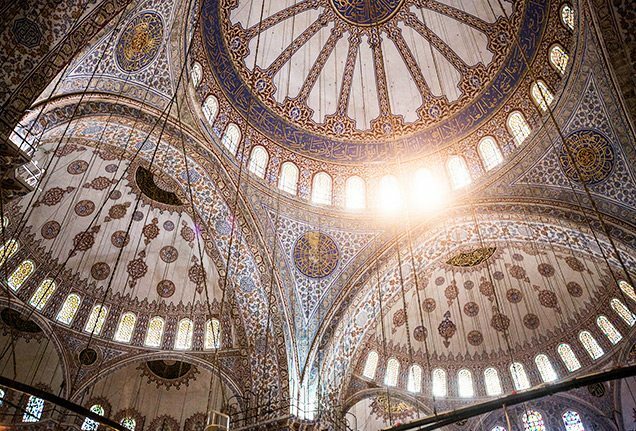 The tour’s next stop was Istanbul, where guests visited the Sultan Ahmed Mosque, or Blue Mosque, so called because of the thousands of blue tiles that line its grand interior. Home to artwork, carpets clothing and fragrant spices, Istanbul’s Grand Bazaar is a one-stop shop for vibrant colour, contrast and culture—and a challenge for any budding photographer. Russia’s cultural capital, St Petersburg, offers the chance to explore the country’s history and culture up close. Start your adventures with a private tour of the State Hermitage Museum, then a visit to Yusupov Palace, Catherine Palace, and the stunning St Isaac’s Cathedral, whose mural work is unrivalled. Self-guided strolls are also worthwhile here, along streets full of friendly faces and unique architecture. Don’t leave Russia without visiting the tiny works of art on display at the Fabergé Museum, touring the State Russian Museum and celebrating the famed author at the Dostoevsky Museum. 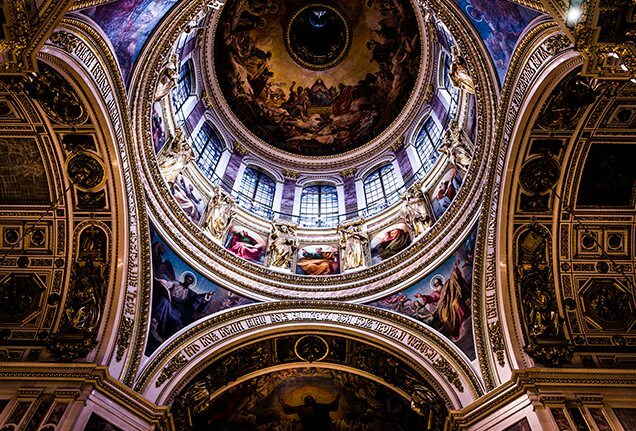 Inspiring architecture and innovative details followed the travellers to St Petersburg, where the ceiling of St Isaac’s Cathedral is plated in pure gold on the exterior and adorned with stunning mural work inside. No visit to St Petersburg is complete without witnessing a stage performance at the Bolshoi Theatre. Perhaps the most famous museum in Russia, The State Hermitage houses intricate works of art spanning Russia’s illustrious history. 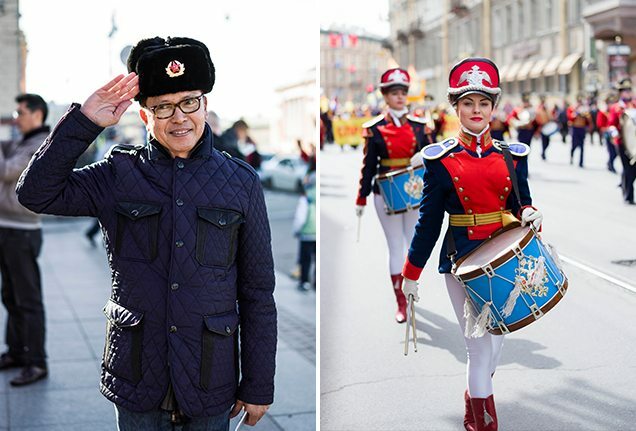 A stroll through St Petersburg proceeds through a whirl of colour, sound and culture. Contemporary artists flock to Prague the same way literary geniuses strive to follow the giants of the pen in Paris. Attend Mozart’s Don Giovanni at the Estates Theatre, where the composer debuted the opera in 1787. For an exclusive experience, ask Four Seasons Hotel Prague to arrange a private viewing of the opera for you. The historic city’s impressive Old Town, full of Romanesque, Gothic and Baroque architecture, is an excellent stomping ground for photographers. Before departing Prague, be sure to explore major landmarks, including the Municipal House, Strahov Monastery and beautiful Prague Castle. 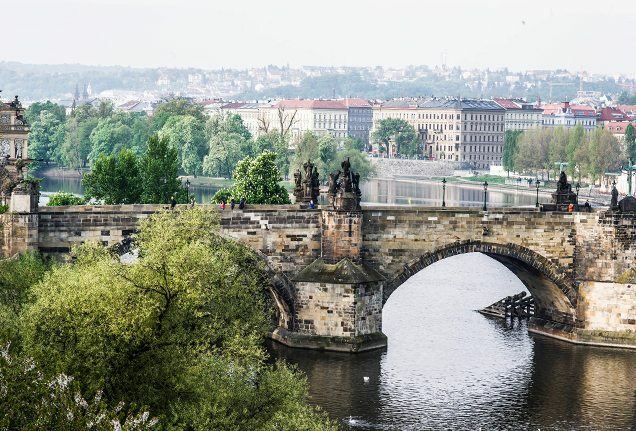 The final destination on the Four Seasons Jet’s European holiday, Prague’s beautiful bridges, well-preserved buildings and castles, and gorgeous landscape made for picturesque views at every turn. 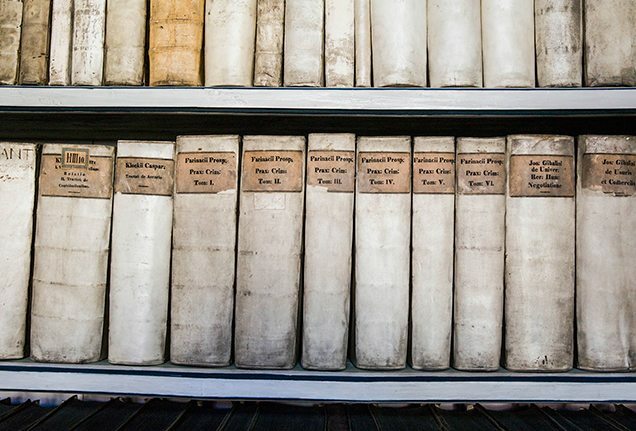 Strahov Monastery, in Prague, houses more than 200,000 priceless manuscripts and thousands of books. 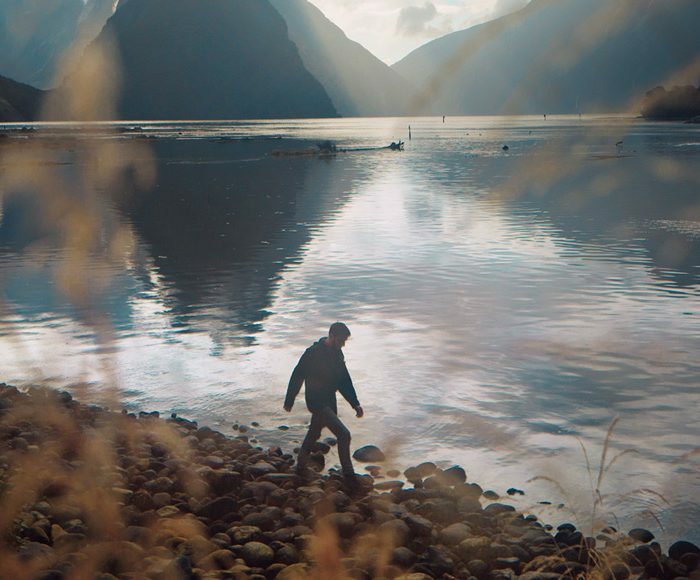 Expert travellers Kristin Newman, David Farley and Elizabeth Carlson share what they love about travelling alone and round up the top places to visit solo. Heading to Art Basel, ARTBO or Art021? Or same place, different time? 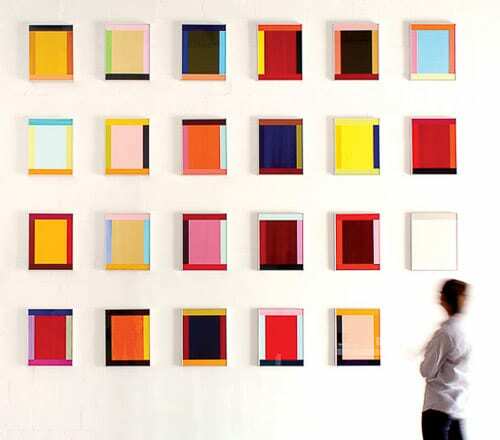 Upgrade your visit with these insiders’ guides to under-the-radar art. 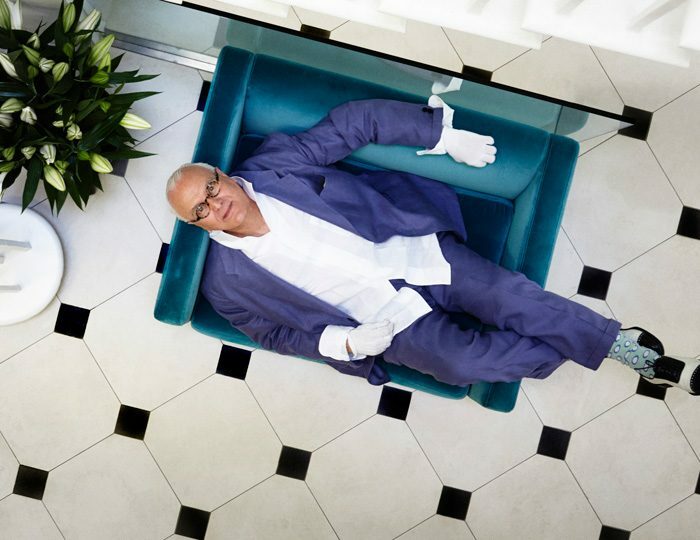 We catch up with the famed footwear designer – and longtime Four Seasons guest – on the heels of his documentary’s release. 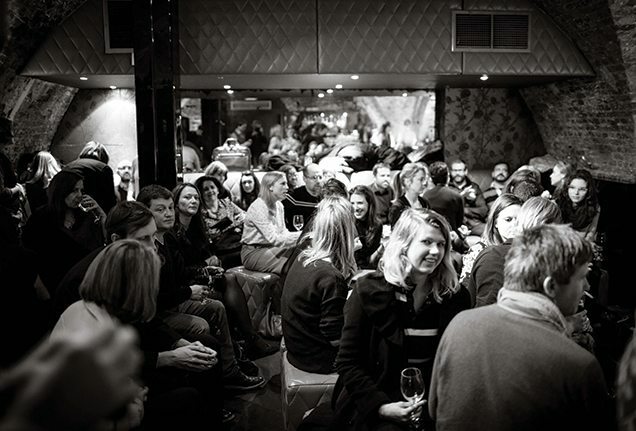 Discover the re-emergence of salon culture around the world, proof that the art of in-person discussion—whether scholarly, scientific or creative—is not yet lost.